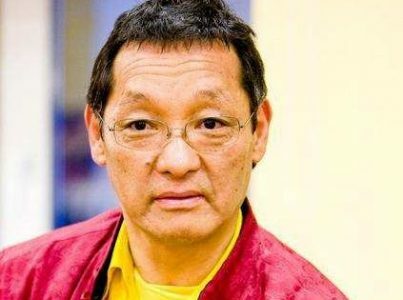 Gangteng Tulku Rinpoche teaches in Poland from June 27th till July 7th 2019. In addition to the Bardo Teachings – for current students of the Kunzang Gongdu cycle – Rinpoche gives open Dzogchen teachings. With these teachings, the initiation of Künzang Gongdü and the lungs, we will inaugurate the start of the next Dzogchen Cycle. Moreover, together with the Sangha Rinpoche will visit the land of Yeshe Khorlo future Center to give His blessing and the initiation of Kurukulle. For the first time we will be able to practice on this land and participate in the initiation together. Therefore, we encourage all the participants of the Bardo Course to take part in the open part of the course (additional 4 days). Altogether it’s a 11- day course. – 27th–28th June 2019 – Open teachings: „Entering the Great Completeness (Dzogchen) – Pema Lingpa’s line and legacy”. Gangteng Tulku Rinpoche will discuss the historical and spiritual context of the teachings found and transmitted by Pema Lingpa – we will learn about Pema Lingpa as a man, an artist, an artisan, a visionary, and the well known discoverer of the countless treasures of Padmasambhava’s tradition. Although not always understood by his contemporaries, Pema Lingpa went down in history as an undisputed „king” of tertons (tib. terchen). Thus, new participants will get valuable information and learn the direct and crystal clear Rinpoche’s style of teaching, whereas for the old students it will be an opportunity to deepen their knowledge and understanding. Feel welcome to come and participate in the lectures! Rinpoche has changed and confirmed the topic of the lecture. Thank you for your understanding. – June 29th 2019: Kurukulle initiation and blessing of the land for Yeshe Khorlo Center in Kotlina Kłodzka, combined with common practices – the participants will be taken from Zieleniec by bus (30 km). – June 30th 2019– Kunzang Gongdu Initiation (shitro) for the participants of Bardo and for the new people willing to start the Kunzang Gongdu Cycle. – 1st – 7th July 2019 – Bardo Transmission and the lectures (this is closed part, only for the participants who completed trekcho and togal). These teachings include detailed information about the bardo process, including trekcho and togal practices. These instructions contain the continuation and the application of the earlier teachings. The retreat will be held in Zieleniec (PL), 950m above sea level; the village belongs to the community of Duszniki Zdrój and is situated on the Polish side of the mountain Serlik (Bohemia) The Trekchö and Thögal course (2012, 2016) took place in the same city. – The hotel has 66 places. These are double rooms with bathroom. Each room is equipped with one single and one double bed. In case of a larger number of guests we can offer the accommodation in the nearby hotels. – The nearest international airport (mostly used): Prague (CZ) – 200 km west from Zieleniec. – The nearest international airport in Poland: Wroclaw (Breslau) (PL) – around 130 km north from Zieleniec. – From the International Airport you can go by bus, subway or taxi to the city center of Prague (bus station Florence). You can take a bus to Nachod (CZ) – a town at Polish-Czech border, the trip takes around 3 hours. Nachod is 35 km far away from Zieleniec (PL). From here only by taxi. – For a group up to 8 persons we can try to arrange a minibus-taxi from the airport to Zieleniec – please write it in your application. – By car: Find your route map on the Internet or GPS. For example, from the north (from Berlin via Wroclaw, Poland). Getting south from Wrocław via Kłodzko, take road no. E67 direction Kudowa Zdroj. 3 km behind the exit of Duszniki Zdroj turn left into direction Zieleniec – follow the signs. From directions South and West, i.e. from Vienna or Prague via Nachod (CZ, border town to Poland) follow the route E 67 to North direction (to Wroclaw (PL). Behind the border you go about 20km, then turn right into direction of Zieleniec – follow the signs. – Please note: in Czech Republic there are Motorway tolls. Vignettes can be bought on the border (Vignettes-Shops) or at petrol stations. If anybody has a spare place in a car, please let us know in your application. – The below listed 2 options include retreat fee, accommodation and full board (three meals a day, also available), including drinks during meals and after meals (tea, water). Other drinks you can buy individually. We have to book the hotel in advance, buy air tickets, etc; so every participant is requested to make a prepayment in advance as well – the best option would be to pay for the whole course or 200 EUR or 260US$in advance. The payment should be realized after registration– latest until 30th March 2019. In case you paid 200 Eur in advance – the remaining amount is to be paid cash on the spot. We can not reserve any rooms in advance for any participants who do not make payment before hand. People who are in a difficult financial situation can apply for a discount. This needs earlier information and contact to settle the matter . Under this link you will get a registration form, which is filled directly on-line and can be sent to Yeshe Khorlo in Poland. (By pressing the „Answers” button on the head of the form. Please send your application together with the money transfer by 30/03/2019. If you have any questions about application, please write to: aaanielka@gmail.com. info.yeshekhorlo@gmail.com in case of doubts. Applications are valid only with a prepayment 200 EUR / 260 US$ before Mach 30th 2019. In case of cancelling your participation we can not pay you back 100 EUR of prepayment for the hotel. The hotel has a capacity of 33 double rooms. The reservation is made according to the date and payment of the application but priority will be given to people taking part in the entire course (11 days). If more than 66 people are signing in we will try to manage a booking in a nearby hotel or hostel. In this case we will inform you in advance. If you want to share your room with a friend, please write it in your application. If somebody wishes to come earlier or to stay longer, please inform us in your application form. Each additional day will cost 95złoty (ca. 25€, 33US$). The arrival at the hotel is on the day before the teachings (first meal is dinner and the last meal is lunch). Checking out: on the day when the teachings end. The group teachings start: before afternoon at 10:00 am, in the afternoon at 15:00 pm. Rinpoche’s lectures will be translated into Polish and English (if the numberof the willing persons is sufficient: min. 12 persons). Also into German and Russian etc. To cover the interpreter fee we restrict the right to enlarge the payment for the course for people in a particular language group. To listen to your language option translation you can use your mobile if it has FM radio or mobile radio (with UKF range) – You use headphones. Please, be sure that you take it with you. Please, take your texts of „Prayers & Dedications”, Ngondro, „Shower of Blessings”, Mahakala, „Riwo Sangcho”, Yeshe Kuchok. Bring your own cushion and sitting mat. In order to enable people with insufficient money resources to participate in the course, the total costs are calculated on a minimum level; therefore we gratefully appreciate every donation for H.H Gangteng Tulku Rinpoche or for the organizers of Yeshe Khorlo Poland. Each participant is asked to help and do some karma yoga during the course. The organizers have the right of introducing some changes concerning the retreat. Thank you for your application! See you soon! Następny wpisÓsma wizyta J. Św. Gangtenga Tulku Rinpocze w Polsce w dniach 27 czerwca – 07 lipca 2019r.